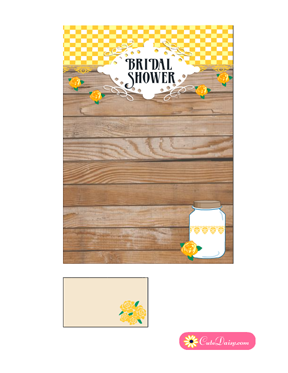 Today I made these adorable and Free Printable Rustic Bridal Shower Invitation Templates which are not only really beautiful but also very easy to personalise with your own text. 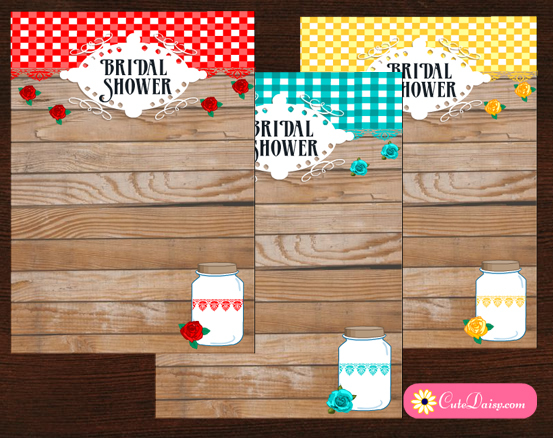 These free printable PDF invitations templates could be opened in any PDF reader or your browser window, you can write your own text in the given text fields and you can print as many copies of these as you like. 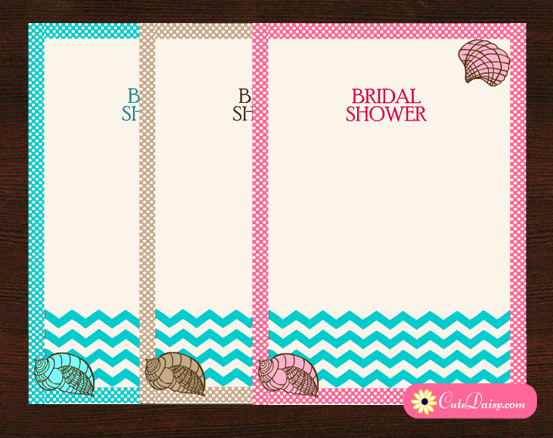 You can add details like name of the bride, venue of the bridal shower, name of the hostess and RSVP info etc. There are plenty of text fields to accommodate all the text. All my invitations and graphics are only for personal use and everything is created by me except the lace pattern is by Vecteezy and the wooden texture is a free for commercial use open source texture that didn’t require attribution. 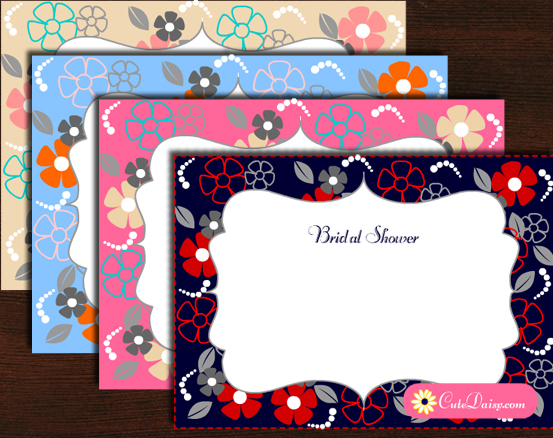 I have made these adorable invitation templates in three different colors so you can print the one that you like the most. I have also included a free printable address label with each invitation that you can paste on your envelopes. I am sure that you bridal shower party guests would love these rustic invitations. 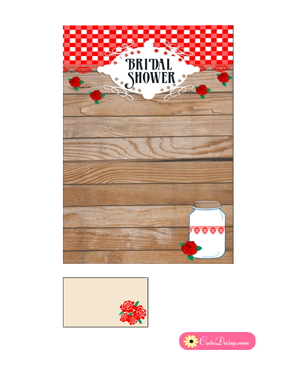 Click here to download the free printable editable PDF version of these adorable bridal shower invitation with beautiful roses, laces and mason jar pattern. It is very easy to personalise and you can write to me if you face any difficulty. 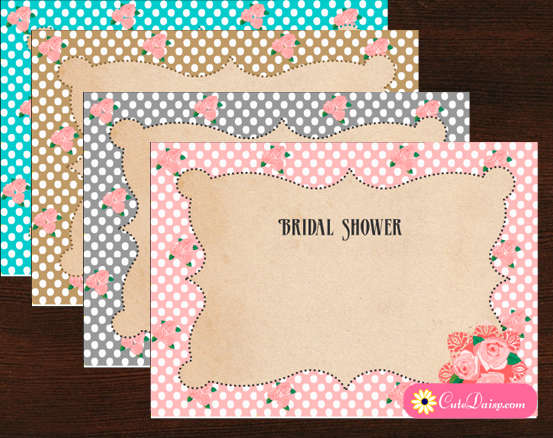 This is another color of these adorable invitation templates that I have made today. It is a beautiful invitation in red and white and wood colors. Click here to download the customizable template. Click here to download this adorable free printable rustic bridal shower invitation in yellow color.